Just imagine that we all dress alike for one autumn weekend in South Dakota. We cook big pots of chili and make ham sandwiches and taverns (or sloppy joes, if you prefer). We invite family and friends and retired baseball stars to go for long walks with us through the fields and weeds. We bring our dogs and we take rides in the back of grandpa’s old pickup truck. We tell stories and enjoy the sunshine and blue skies of October in South Dakota. Wouldn’t that be the perfect weekend? Of course, I am describing the opening weekend of pheasant season. 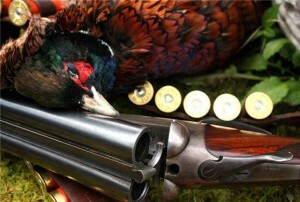 It would be a special occasion with or without six million pheasants. This year, there may actually be even more. Our wildlife experts predict there’s a 47 percent increase. But few of us are counting. This is the 100th consecutive “opening day” in South Dakota and the hunt is no longer all about the birds. It’s a festival of our grand outdoors. To commemorate the centennial hunt, we devoted much of our September/October issue to stories. We didn’t have to do much hunting. Just about everybody has a pheasant tale. Senator John Thune told us of the day he was hunting with a group that included Twins slugger Kent Hrbek. They knocked on a farmer’s door to ask permission to hunt, and as it turned out the man was then watching a replay of Hrbek hitting a home run in Game Six of the ’87 World Series. We learned that the Dunse family of Beadle County has been gathering on the family farm for decades, and it’s really special when all 10 grandsons arrive. They usually dine at the Presbyterian Church supper in nearby Bonilla. Watertown attorney Lee Schoenbeck wondered if it’s sacrilegious to secretly help the bishop bag a bird. Peggy Schiedel remembered when actor Cary Grant visited her family’s Faulkton farm. Yankton broadcaster Monte James told of guiding a group of Coca Cola executives from Atlanta who hardly knew how to hold the gun. Rapid City journalist and sage Kevin Woster penned a story about his family’s tradition of meeting at cousin Donnie’s farm. Kevin noted that his brother Jim called everyone last year to warn that the bird numbers were down and to ask who might still be coming. “Well, is there still going to be some sloppy joes in the tool shed before the hunt?” Kevin asked. Jim was sure they would gather. “That’s all I need to know,” Kevin said. One hundred years of South Dakota socialization will be celebrated in October. Toss in a few million pheasants and we’ve got a real party. PIERRE, S.D. – At the request of the South Dakota Department of Veterans Affairs, Gov. Dennis Daugaard has proclaimed Thursday, Aug. 30 as Veterans Day at the South Dakota State Fair, calling on all South Dakotans to honor those men and women who fought bravely for our freedoms. 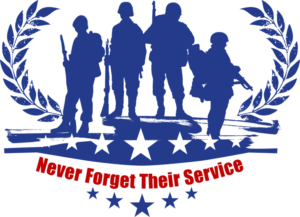 At 10:30 a.m. on Aug. 30, the South Dakota State Fair will host a “Salute to Veterans” program. The program will be held on the Northwest Energy Freedom Stage (Recreation Avenue). Susan Iron, Veterans Service Officer for Lincoln and Union Counties, will be the keynote speaker. Special music will be provided by Raptor, commercial musical ensemble of the United States Air Force Heartland of America Band. Representatives from the South Dakota Department of Veterans Affairs, Veterans Service Organizations, , as well as county veterans service officers will have informational booths in the Veterans Building on Flag Avenue throughout the week. Veterans are encouraged to stop by the booth and learn more about benefits and programs available to them as well. To show appreciation for their service, the Fair will give all veterans and active military personnel free gate admission on Aug 30. “Coughs and sneezes spread diseases as dangerous as poison gas shells.” This saying printed in newspapers of the time may have been as catchy as the disease it was warning against: the Spanish influenza. According to the website Stanford.edu, the first wave of influenza appeared in the spring of 1918 at Fort Riley, Kan., where new recruits were trained before being sent to Europe to fight in the Great War. As soldiers fanned out to fight the Great War, the virus made its way around the globe. The disease became known as the Spanish influenza because the Spanish news media was the first to widely report the epidemic. The disease was also called grippe, the three-day fever and other names. By September 1918, newspapers reported that the epidemic of Spanish influenza was sweeping Army and Navy camps in the United States. South Dakota residents were certainly not immune from the effects of the deadly disease as Spanish flu spread across the nation. Delo Townsend was a young high school math teacher and principal at Langford in 1918. In an interview that appeared in the Sept. 9, 1976, Fort Pierre Times, she said, “Sometime in October, many people started getting sick with this pneumonia type illness – cough, aching bones and high temperatures. Schools had to close. When it got really bad, my school board decided to turn our high school into a hospital.” There were funerals every day, she said. Some took place outside to keep down the spread of the disease. “Often hardly anybody dared attend the funerals,” Townsend said. According to an article in the Spring 1987 issue of “South Dakota History,” records of McKennan Hospital (now Avera McKennan Hospital) in Sioux Falls reported 173 cases of Spanish influenza in 1918-1919. 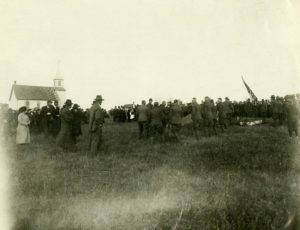 “The high death rate severely taxed mortuary facilities in Sioux Falls … Many local doctors were still in military service due to World War I and were unable to return home to minister to the sick. Entire families often fell ill, and the greatest number of stricken people stayed home, with the strongest helping the weakest through the crisis. Still, the hospital became so crowded that beds were set up in corridors and all other areas where space was available,” stated the article by Susan C. Peterson. Newspaper articles listed symptoms of the disease. They included high fever, headache, general soreness, sore throat, cough and inflamed mucous membranes. While the young and elderly are usually hit hardest by such diseases, those ages 20-40 were the hardest hit by the Spanish influenza. Across South Dakota and the nation, public gatherings were forbidden. Schools, colleges, theaters, churches, pool halls and other public gathering places closed. Advice in the Oct. 23, 1918, Daily Huronite about how to avoid the Spanish influenza included keeping in good condition; getting as much fresh air as possible; avoiding people with colds; not staying in stores longer than necessary; breathing through a clean handkerchief when around people with colds or when in a crowd; and keeping off the main streets in order to avoid contact with people. An anti-spitting ordinance was enforced in Rapid City to help stop the spread of the disease. People were arrested or fined for spitting on city sidewalks. By the end of 1918, 1,847 people in South Dakota had died of Spanish influenza, according to the South Dakota Department of Vital Statistics. The four counties with the most influenza deaths were Lawrence with 145, Brown with 118, Beadle with 98 and Minnehaha with 95. Some people with Spanish flu died from pneumonia. The total number of deaths from influenza and pneumonia in 1918 was 2,391. In 1919, there were 700 deaths from influenza in South Dakota. The flu epidemic came to an end by the summer of 1919. An estimated 675,000 Americans had died during the epidemic. 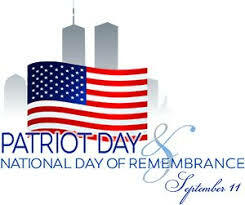 In the United States, Patriot Day and National Day of Service and Remembrance is observed on September 11 of each year in memory of the 2,996 people killed in the 2001 September 11 attacks on the World Trade Center in New York City and the Pentagon near Washington, DC. Of the 2,996 lost that day, 343 were firefighters and 72 were law enforcement officers. The U.S. Flag is flown at half-staff until sunset on all U.S. government buildings and establishments throughout the world. Individual American homes are also encouraged to display their American flag. Additionally, a moment of silence is observed to correspond with the attacks, beginning at 8:46 AM Eastern Daylight Time. That is the time the first plane, American Airlines Flight 11, struck the North Tower of the World Trade Center on September 11, 2001. United Airlines Flight 175 struck the South Tower of the World Trade Center at 9:03 AM. American Airlines Flight 77 flew into the Pentagon at 9:37 AM. A fourth plane, United Airlines Flight 93, crashed into a field near Shanksville, Pennsylvania at 10:03 AM after the passengers attempted to subdue the hijackers. Flight 93’s target was believed to have been either the US Capitol building or the White House. It is hard to imagine losing the editorial checks and balances that protect our First Amendment rights, our freedom of information. These rights have been championed throughout history by traditional media outlets, some of whom stood against dictatorial attempts to censor public information. 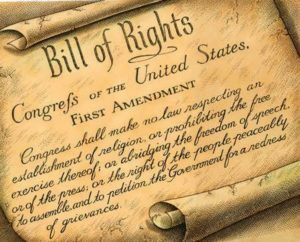 And while the First Amendment is not currently under direct attack, it is indirectly threatened by the potential extinction of traditional media, as digitization continues to divide both our attention spans and our already partisan nation. We must re-establish positive relationships with traditional media. Bolstered by a grant from the Carnegie Mellon Institution, the South Dakota Humanities Council and the South Dakota Newspaper Association will host a series of “Democracy and the Informed Citizen” public forums this year focused on reinforcing public value for our media. We must fight for our media the way our media has historically fought for us, such as when the Washington Post battled the Nixon administration to publish the Pentagon Papers in 1971. At the time, Post Editor Ben Bradlee and publisher Katherine Graham worried about litigation and backlash from President Richard Nixon and the value of their recently offered public shares. But they ultimately reported the ugly truth of the Vietnam War. The Post decided the public’s right to know what the government was hiding outweighed tangible risks to the paper’s existence. As revenue losses threaten traditional media, we must secure our news ecosystem and its ability to audaciously reveal such wrongdoings. “Democracy and the Informed Citizen” examines the state of news in 2018 and considers ways to move forward as an informed, cohesive democracy. Traditional media faces an onslaught of new challenges in this frenzied smartphone era: a President who announces his own news via Twitter, accusations of “fake news,” competition from online outlets restrained by neither accountability nor industry standards. Gaining credibility is no longer as easy as printing a newspaper or broadcasting a signal. Ironically, traditional media outlets are chastised as much as or more than their uncredentialed digital counterparts, some of which earn money by spreading intentional lies. As digital advertising revenue lines the pockets of online publications, newspapers, television and radio stations have no choice but to chase the same online clicks. Meanwhile, truth and accountability trail behind. By asking “What’s True, What’s False, and What’s Important?” our forums lead us to perhaps the most salient question: how do we know which sources to trust? During our kickoff event at the University of South Dakota in April, we asked Washington Post editor Martin Baron, a 14-time Pulitzer winner. The veteran editor’s advice? Think critically. We’re promoting infoliteracy, a relatively new skill necessitated by our complex digital media era. An infoliterate citizen distinguishes real news from fake news by recognizing and dismissing biased sources. In 1971, The Post faced factual disputes, as newspapers have since the invention of the printing press, but not the extra layer of mistrust created by “fake news,” which forces readers to sort stories fabricated by agenda-seekers and liars from those written by real reporters. Graham’s courageous decision to publish led to a Supreme Court decision that the McNamara Report – and its stunning revelation that the government promoted a war it knew was unwinnable – was public property. It also boosted the paper’s reputation. Democracy depends on us to support news reporting capable of challenging the institutions we depend upon and trust. We must discern our sources of information. We hope the 2018 initiative will encourage citizens to value media institutions that are willing to stake their names and reputations on their reporting, and to be part of the “informed and critical public opinion” that makes our democracy special. As part of a special partnership created to promote the initiative, SDHC and the South Dakota Newspaper Association will host a series of public forums focusing on public trust and the media. The South Dakota forums will feature Pulitzer Prize-winning authors, current and former journalists, journalism professors and others. In conjunction with this democracy-themed programming, groups around the state will read and discuss the 2018 One Book South Dakota, “Informing the News: The Need for Knowledge-Based Journalism” by Thomas E. Patterson. SDHC will also host journalism and social media experts at the South Dakota Festival of Books in September led by Patterson, Pulitzer Prize-winning journalists Timothy Egan and Jacqui Banaszynski, as well as digital storytelling expert Andy Boyle of Axios and Emmy-winning ABC News correspondent Linsey Davis, who files reports for World News, Good Morning America, 20/20 and Nightline. We urge you to find and attend an event in your area, and to please support your local newspapers. PIERRE, S.D. – Gov. Dennis Daugaard has proclaimed Sept. 9-15 Direct Support Professionals (DSP) Recognition Week in South Dakota. DSPs are employed by 20 community support providers throughout the state as well as the South Dakota Developmental Center in Redfield. DSP Recognition Week highlights the efforts of those who work closely with individuals with intellectual and developmental disabilities. DSPs help individuals with disabilities to participate in their communities, find employment, and lead full and independent lives. “DSPs are essential in ensuring people with disabilities have equal opportunities to lead a life they desire,” said South Dakota Department of Human Services Division of Developmental Disabilities Director Darryl Millner. Many South Dakotans with intellectual and developmental disabilities rely upon DSPs to deliver their individualized support services and help them to achieve their goals. DSP Recognition Week in South Dakota coincides with National Direct Support Professionals Recognition Week to celebrate DSPs across the country, which also begins on Sept. 9. BROOKINGS — Task forces delving into open government issues have been appointed by various elected leaders the past 20 years, but that practice would stop if U.S. Rep. Kristi Noem is elected governor. Her Democratic opponent, State Sen. Billie Sutton, embraced the use of a task force which in the past has brought together representatives of the media, law enforcement, local government, the judiciary and others to find common ground on proposed legislation. “When the law needs to be changed, I think we need a task force approach to move the ball so everybody’s on the same page and we’re all communicating what makes sense,” Sutton said. The two candidates made their remarks to members of the South Dakota Newspaper Association First Amendment Committee and the SDNA Board of Directors. The gubernatorial candidates were questioned in separate interviews about their views concerning open meetings and open records laws in South Dakota. Noem assured newspaper editors and publishers that the lack of a new open government task force would not result in a lack of input from their industry. She explained that talking to stakeholders was the way her congressional office operates before proposing legislation. The candidates also differed on their approach to the open records exception that keeps government correspondence, including emails, from public disclosure. Noem said she was concerned about the protection of personal information that may be included in the emails as well as the prospect of implementing strict rules that would drive officials away from email and toward using the telephone, where there would be no record of their interaction. Both candidates were in favor of looking at ways to limit confidential settlements in state government lawsuits. Noem said information about victims should be protected, but that state government lawsuit settlements should be an open record. In South Dakota, law enforcement investigative records for closed cases and inactive cases are closed to the public as are police reports generated by calls for service. Both candidates showed a degree of reluctance when asked if they would work toward opening those records. “I think definitely when cases are closed and investigations are complete,” Sutton said of opening the investigative records. “I’d be more hesitant on ongoing investigations. I also have a strong belief that somebody’s innocent until proven guilty. Noem said she would need to hear from law enforcement about why the records are closed. She said her congressional office has fielded requests from families seeking old police records to get information. Both candidates were open to a possible tightening of the rules that allow public elected bodies to go into executive session. They also expressed support for a law that would require executive sessions be recorded so that the recording could be reviewed by a judge if a complaint about the legality of the session were filed. Both candidates also said they supported the continued publication of public notices in newspapers as well as favoring a continuation of the sales and use tax exemption for advertising services. Noem got the attention of editors and publishers when she said that her administration would seek a reporter shield law Shield laws protect reporters from revealing sources, turning over notes or being compelled to testify in court. “There should be that protection for investigative reporters to do their jobs without fear of consequences and legal action,” Noem said. The candidates differed when asked to grade South Dakota’s efforts in the areas of open government and transparency. Noem gave the state a B. To help the state improve, Noem has proposed what she calls the Sunshine Initiative. It includes steps to further open government in the areas of live streaming more government meetings, expanding open.SD.gov, implementing the reporter shield law, limiting confidentiality in state government lawsuit settlements and reviewing open meetings laws. Sutton’s plan for government transparency includes opening more government records to the public, adding more and more easily accessible information to open.SD.gov, standardizing records retention rules and ensuring access to state government officials by the press and the public. 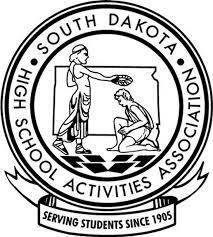 A year ago the South Dakota High School Activities Association was struggling to keep its corporate sponsors from defecting to the SDHSAA Foundation. At Thursday’s meeting, the SDHSAA Board of Directors approved a full slate of corporate sponsors for the new school year. Billion Automotive makes an in-kind donation of vehicles for use by SDHSAA staff. Dakotah Bank replaces First Premier Bank and Premier Bankcard as the financial services partner. First Premiere expressed an interest in making its contribution to the SDHSAA Foundation. Funds from corporate sponsors are used to buy catastrophic insurance for school districts. “That covers every high school student in the state,” said SDHSAA Executive Director Daniel Swartos. Thursday the board also received an update from Pierre Superintendent Kelly Glodt representing the SDHSAA Foundation. Glodt reported that the foundation has $388,504 on hand and $10,331 available for disbursement. The foundation’s plan is to make significant contributions to South Dakota school districts. SDHSAA Board Chairman Brian Maher of Sioux Falls suggested that it might be best to re-invest the money available for disbursement in order to help the principal grow. These are the key ingredients in the BIG Idea Competition which is launching its 11th Annual competition this fall. High school students across South Dakota are invited to compete in this business idea competition where winners will receive over $5,500 in cash awards and scholarships. Students may work individually or as a team and will be able to submit their business idea applications online from September 1 until October 31, 2018. 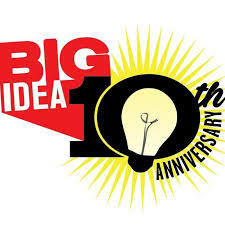 The online application as well as various resources and examples can be accessed at the BIG Idea website: www.BIGIdeaSD.com. For the optional marketing design competition, students will create an ad to support their business idea. A Wellness Category sponsored by Sanford Health, offers an additional $500 cash prize to the best business idea in this category. New this year is a Food Animal Agriculture Category sponsored by Midwest Ag Supply, which offers an additional $500 cash prize for the best business idea in this category. All applications submitted by the October 31, 2018 deadline will be reviewed and ranked by judges across the state. The eight (8) top scoring entries will be invited to the final competition and will make a presentation for the final judging component. The top three applications will receive cash awards of $1,000, $500 and $250, respectively. College scholarships to both Northern State University and Presentation College will be awarded as well. One winner will be chosen from among all the marketing design entries and be awarded $500. One winner will be chosen for each the Wellness Category and the Food Animal Agriculture Category and recognized at the final competition. The final competition and awards event will be held on Wednesday, Dec. 5 at Northern State University in Aberdeen. Students will participate in various activities surrounding entrepreneurship. Prior to the awards presentation, all finalists will give an elevator pitch of their business idea. SIOUX FALLS — A group of newspaper journalists recently quizzed the attorney general candidates about government transparency issues and found both men open to considering changes to the laws that journalists find problematic. Meeting with the two candidates – Republican Jason Ravnsborg and Democrat Randy Seiler – were members of the South Dakota Newspaper Association First Amendment Committee. Both candidates were asked to use an A through F scale to grade South Dakota on its openness and transparency laws. The higher grade came from Ravnsborg, a Yankton attorney, who gave the state a B minus. The grade from Seiler, a former U.S. Attorney, came in at a C minus. Getting South Dakota’s grade up to an A, according to Ravnsborg, would take better transparency by the state’s Bar Association so that a list of lawyers who have been dis-ciplined is more readily accessible to the public. For Seiler, the road to an A grade goes through a review of public corruption statutes like those found in Initiated Measure 22 and a more transparent standard for involving South Dakota in other state’s lawsuits. Seiler cited South Dakota’s role in lawsuits to overturn the pre-existing conditions provi-sion of the Affordable Care Act and an effort to find the Clean Water Act unconstitution-al. The candidates were told about journalists’ frustration with abuse of the open meetings law, particularly the provisions that allow executive sessions for consulting with an attor-ney about litigation or discussing personnel matters. Ravnsborg said he has heard the same complaints about local elected boards discuss-ing regular business during closed session. Seiler said he was familiar with local boards as a former Mobridge School Board mem-ber and as a former member of the Fort Pierre City Council. He has also filled in as Hughes County State’s Attorney. Both candidates were open to considering the idea of having executive sessions rec-orded. In the event the legality of the meeting was challenged, the recording could be reviewed in a judge’s chambers. A 2009 state law declaring a presumption of openness for government records came with more than 20 exceptions. One of the exceptions is government correspondence, including emails. Seiler, too, was open to reviewing the exceptions. Both candidates favored treating as public records the confidentiality agreements in state lawsuits. “I believe that agreements should be more open and transparent, especially when you’re involving tax dollars,” Ravnsborg said. According to Seiler, confidentiality agreements aren’t allowed under any circumstances in lawsuits handled by the U.S. Attorney’s office. In South Dakota, law enforcement investigative records for closed and inactive cases as well as police reports generated by calls for service are not open records. Both candi-dates said they were open to reviewing that policy as well as reviewing the proper times to release 911 calls and body cam and dash cam videos. Both were open to expanding the release of booking photos to include high level misdemeanors. If elected, both candidates said that creating more transparency in state government would start with the attorney general’s office. 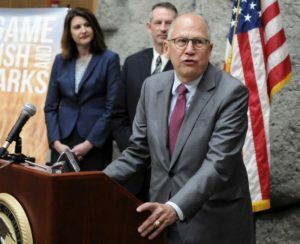 In addition to setting standards for South Dakota’s involvement in litigation, Seiler said he would improve the online form citizens use to report consumer affairs abuses. “Citizens should be able to have a very open access to the attorney general’s office on these issues,” Seiler said. Ravnsborg said he would add transparency to the AG’s use of the Drug Control Fund. The fund comes from forfeitures in the state’s drug cases that are used to pay for grants to law enforcement agencies in the state.